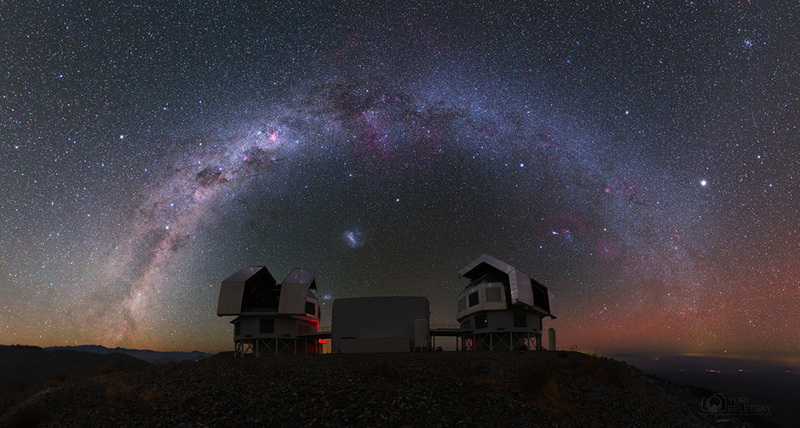 Lucas Cieza, from the Astronomy Nucleus at UDP, together with a team of international researchers observed molecules that constitute the basic components of life. Thanks to ALMA, a team of astronomers detected several complex organic molecules around the young star V883 Ori. After a sudden eruption, the star began to release molecules present in the icy material of the protoplanetary disk. The chemical composition of the disk is similar to that of the comets in the Solar System. The sensitivity of ALMA allows astronomers to reconstruct the evolution of organic molecules from the birth of the Solar System to the objects we see today. The research team led by Jeong–Eun Lee (Kyung Hee University in Korea) used the Atacama Large Millimeter / submillimeter (ALMA) to detect complex organic molecules such as methanol (CH3OH), acetone (CH3COCH3), acetaldehyde (CH3CHO), methyl formate (CH3OCHO) and acetonitrile (CH3CN). This is the first time that most of these molecules are reliably detected in a region of planetary formation or protoplanetary disk. The results were published in the prestigious journal Nature Astronomy, during the month of February. Protoplanetary disks contain dust particles of just a few micrometers that are covered in frozen molecules and form snowballs, and eventually larger objects, such as comets. The sudden eruption of V883 Ori is now warming the disk and sublimating the ice, which releases organic molecules in the form of gas. In a disk of this type, the region where the temperature reaches sublimation point of the water is known as the snow line. The radius of the snow line is usually just a few astronomical units (au, the distance that separates the Earth from the Sun) around typically young stars, but in the stars that erupt, it can expand up to 10 times that size. Water ice, along with frozen organic molecules, could be closely related to the emergence of life on planets. In our Solar System, comets attract attention due to the great number of frozen components that transport. For example, the famous Rosetta probe, from the European Space Agency, detected a rich organic chemical composition around the comet Churyumov–Gerasimenko. It is believed that comets formed in the cold and farthest regions of the proto-Solar System, where the molecules were trapped in the ice. 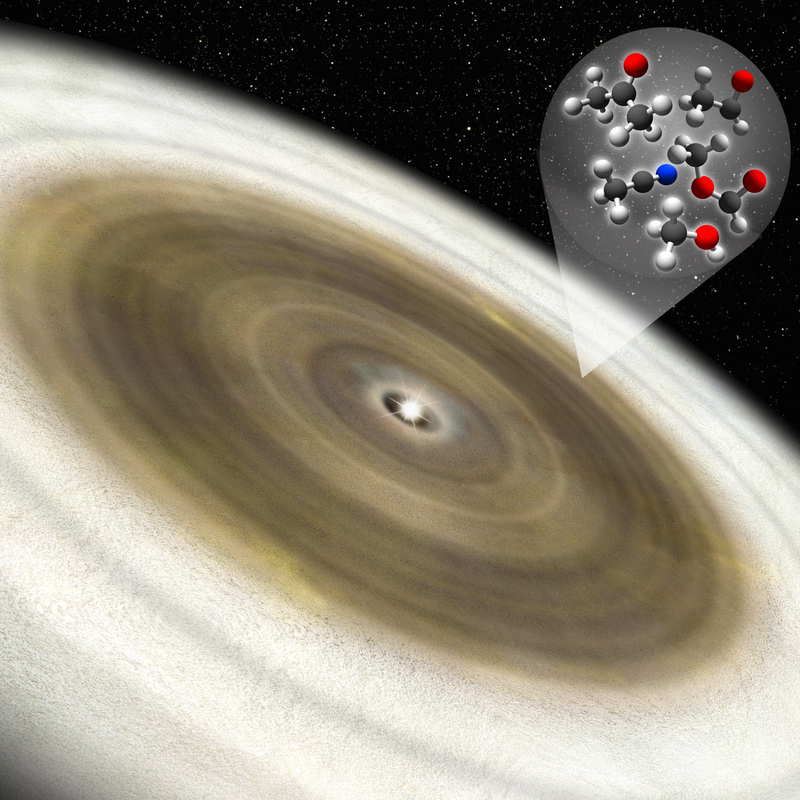 The study of the chemical composition of ices in protoplanetary disks is related to the study of the origin of organic molecules in comets and the origin of the basic components of life. “Earth-like planets are formed mainly from water-poor materials in the inner regions of the protoplanetary disk but can become habitable if water and organic molecules are transported to their surfaces by comets formed on the outer regions of the disk, beyond the so-called ‘snow or ice line’, where the temperature is low enough for the formation of water ice” explains Lucas Cieza, astronomer at UDP’s Astronomy Nucleus and part of the research team. Complex Organic Molecules, which are the seeds of the prebiotic material and the precursors of amino acids and sugars, are formed on the surfaces of comets, but they can not be detected from Earth unless the comets evaporate and these molecules become detectable in gas form. Thanks to the sharp vision of ALMA and a snow line greatly expanded by the eruption of the star, astronomers could observe the spatial distribution of methanol and acetaldehyde. The distribution of these molecules forms a ring with a radius of 60 AU, twice the orbit of Neptune. Researchers believe that, within this ring, the molecules are invisible because they are obscured by the dense material, and outside of it they are invisible because they are frozen. “In 2016, we discovered that a drastic increase in the brightness of the young star V883 Orionis caused an overheating of the inner region of the disk, moving the ice line away at a distance much larger than normal for a protostar and bringing this important boundary into view for the very first time . 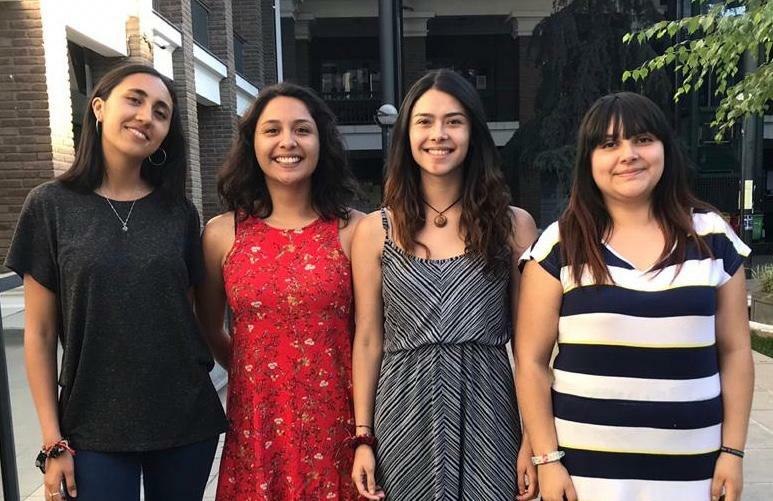 Observing the same protoplanetary disk with ALMA, we could now detect, also for the first time, a large number of Complex Organic Molecules released from the comets evaporated by this stellar explosion”, explains Cieza, who currently heads the new Ph.D. program in Astrophysics at Diego University Portales. V883 Ori is a young star located about 1,300 light years from Earth that is experiencing a FU Orionis type eruption: a sudden increase in brightness due to an intense jet of material flowing from the disk to the star. These jets generally do not last more than 100 years, hence the opportunities to observe them are so scarce. However, as most young stars experience FU Ori-type eruptions during some period of time while they are young, astronomers hope to be able to study the chemical composition of circumstellar ices as disks evolve.